Welcome to the Cubelets' Blog! Please take a moment to "like" our facebook page, or subscribe to our RSS feed to get updates! This blog was created by and made for the crew of Cubelets. 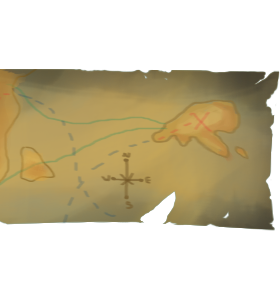 You probably already know this, but we're the pixel pirates of the Emerald Ocean of the game Puzzle Pirates. New to the crew or interested in joining us? Cubelets as a crew was created with the aim of helping friends old and new learn more about the game, so that we can all enjoy it more together. Finding and linking to great existing resources in the same easily accessible location. Keeping all crew-related pages in one place. Hope you enjoy this blog as much as I enjoy making it! Comments or suggestions? What would you like to see? Leave a comment! I really love comments. Or "like" our facebook page! Click to get a random article! This site best viewed in anything that isn't trashy IE. And also a 1366x768 screen or larger. Working on the whole responsive thing. All images taken from Puzzle Pirates copyright of Three Rings Design Inc.